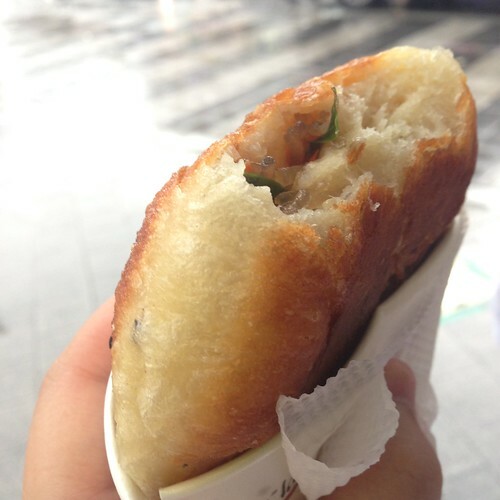 Hoddeok is a popular street food in south korea. It's a filled pancake. 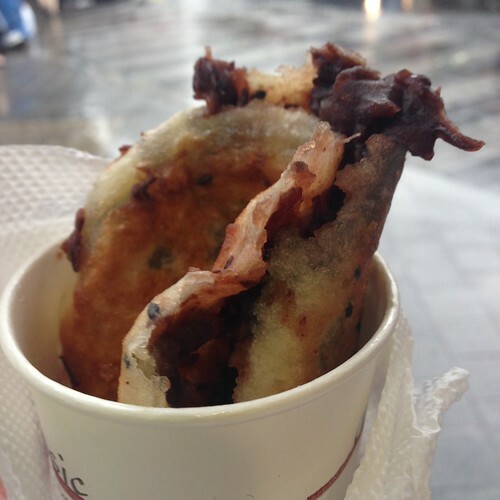 Usually filled with sugar, but I got some interesting hoddeok at Namdaemun Market, the savoury one. Savoury hoddeok filled with japchae, japchae is a stir-fried potato starch noodle with veggies. I also tried the sweet red bean one. One hoddeok costs ₩1000 or around $1.